Free Shipping Included! 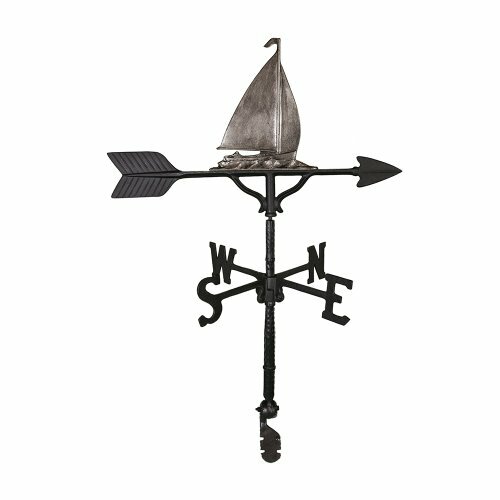 Montague Metal Products 32-Inch Weathervane with Swedish Iron Sailboat Ornament by Montague Metal Products at List It Fort Worth. MPN: WV-271-SI. Hurry! Limited time offer. Offer valid only while supplies last. 32'' cast aluminum weathervane. The mast, directional letters and arrow are finished with a baked on satin black enamel finish for extra durability.